A team from Mary’s Meals will visit our parish on 13th and 14th October. 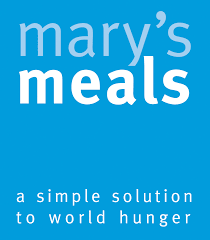 Mary’s Meals will be visiting the parish during the weekend of 13th/14th October. You can assist their programme of feeding more than 1.2 million children by donating unwanted clothing including belts, bags, shoes, curtains and bedding. Please note, however, that they are not looking for duvets, pillows/ or bric-a-brac. A van will collect items after the 10am Mass on Sunday 14th October. Last year, the rags to Riches campaign generated £160,000. You can also purchase raffle tickets, which cost £1 each. Last year, the raffle raised £115,000. It only costs £13.90 to feed a child for an entire school year in some of the poorest countries of the world where Mary’s Meals work.